With Reverse Auction Factory you can choose to use its own registration and profile system instead of the Joomla's standard ones. To enable this feature you must go to Settings/Profile Integration and chose Component Profile and Component Registration respectively from the drop-down menus. Save the changes and go to Extensions/Plug-in Manager, here you will have to enable 2 plug-ins provided by our component: Reverse Auction Factory System Plugin (plg_system_bids) and Reverse Auction Factory User Plugin (plg_user_bids). These must be enabled before you can utilize the Reverse Auction Factory registration and profile forms. Upon doing all these, the registration form will change and it will contain specific fields used by Reverse Auction Factory besides the standard ones. 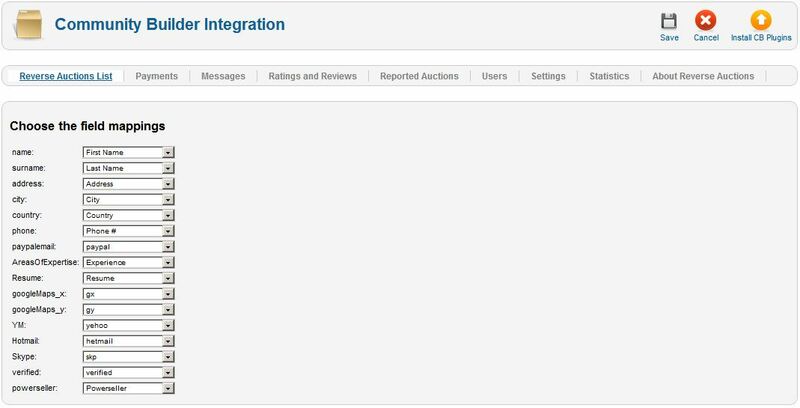 Reverse Auction Factory can be integrated with Community Builder for a dedicated profiling system. Reverse Auction Factory will automatically install CB plugins if it detects an installation. To use the CB profile, you must set the User Profile to Community Builder from Settings - Profile Integration and map the coresponding fields. 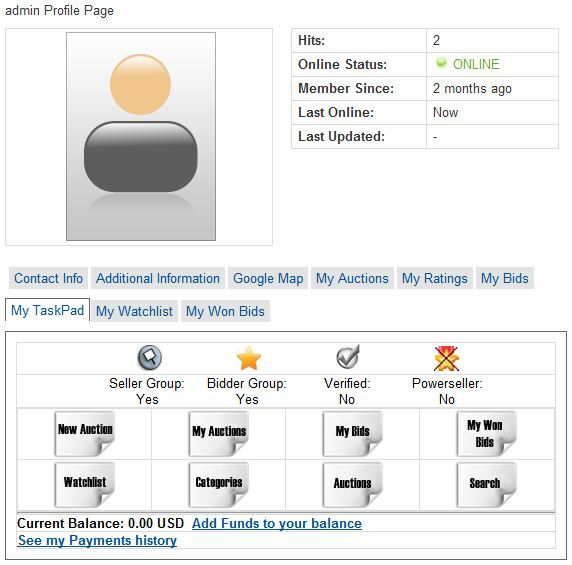 Correct field mapping will be required to display information properly between the auctions, profile and other plugins. If CB is installed after Reverse Auction Factory, the plugins can be installed from the field mapping area. Reverse Auction Factory implements multiple CB plugins, the main one being My TaskPad which includes most of the menus and other user profile information, like balance. 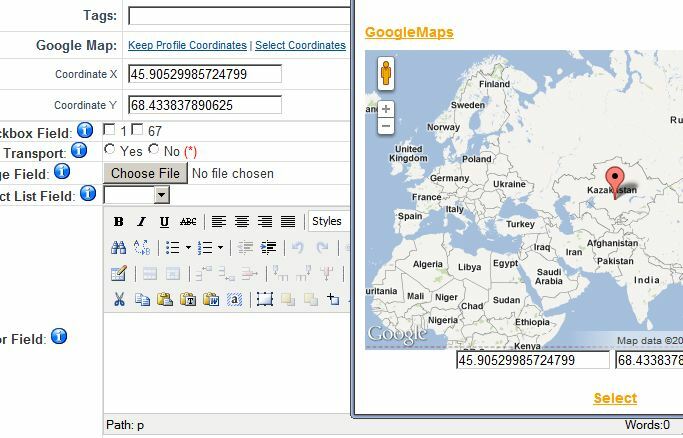 Each user can post his location with the help of a Google Map. The use of this integration requires a Google account where the webmaster can acquire a unique key, refer to the Google documentation for specific details on obtaining the key. The map location is then used on auctions, posters can either use their profile location or choose another. 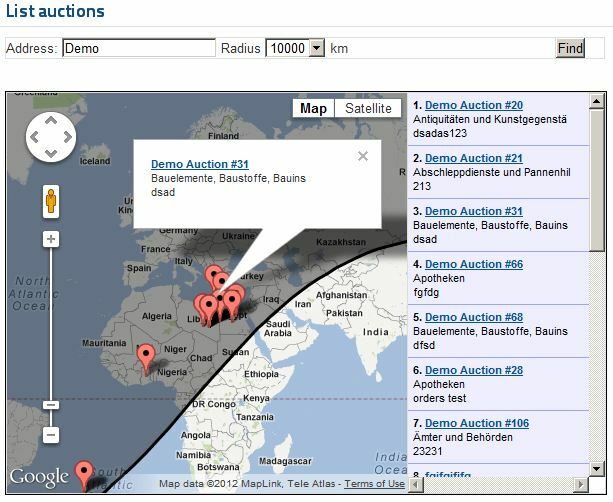 Another use for the map location is for searches, the Radius Search Page can be used to locate auctions based on the distance from a certain point. For guest messages, reCaptcha can be used to limit the amount of spam. Same as with the Google maps, a key has to be obtained. 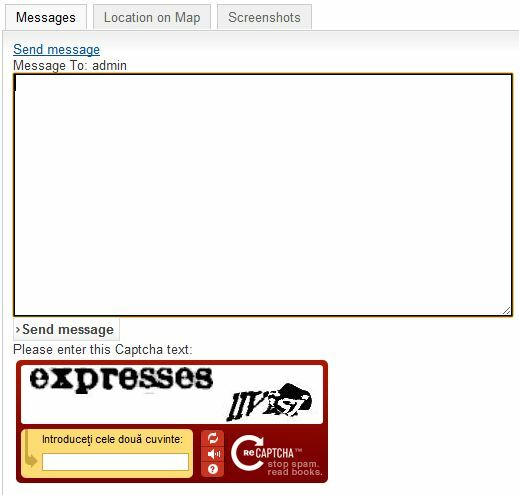 Besides the captcha for comments, you can also use the reCaptcha Mailhide, it works the same way as regular reCatpcha, but it's used when users want to see email addresses.